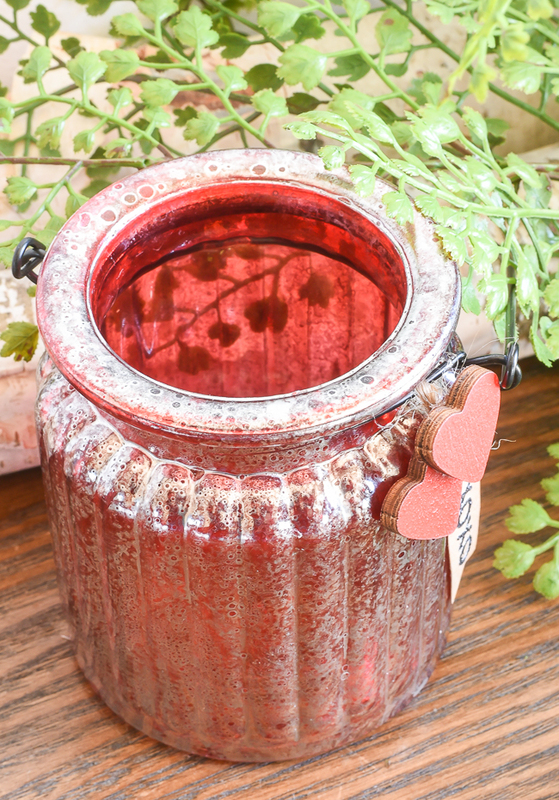 Give Dollar Tree glass jars a mercury glass makeover then fill them with your favorite candy for an adorable Valentine gift. 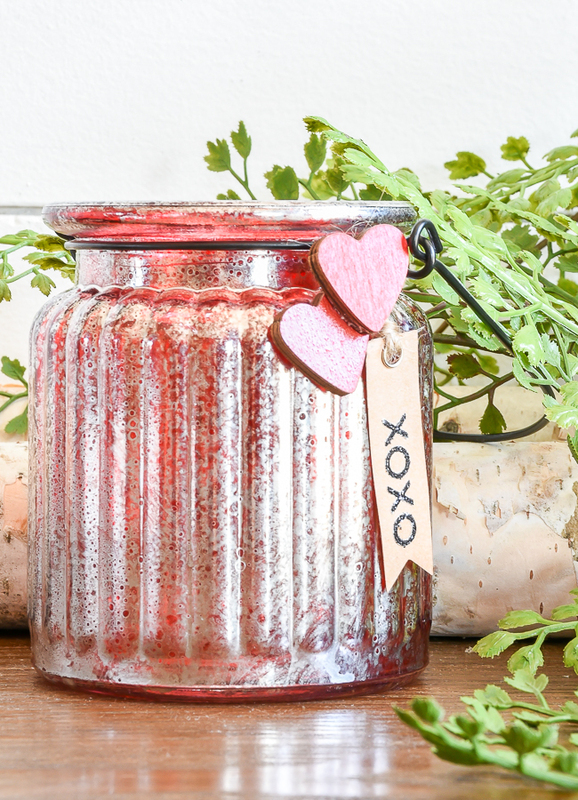 I'm not one to decorate or make cute DIY crafts or gifts for Valentine's Day, but I couldn't resist creating a quick project after spotting little red jars on my last Dollar Tree shopping trip. 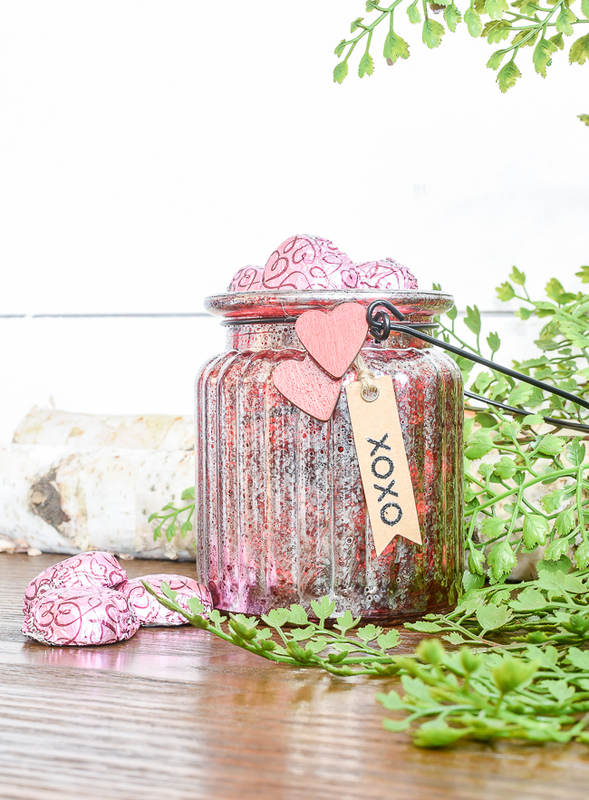 I knew right away they would be perfect for Valentine's Day, so I pulled out my leftover Looking Glass spray and whipped up a quick and easy Valentine's craft. 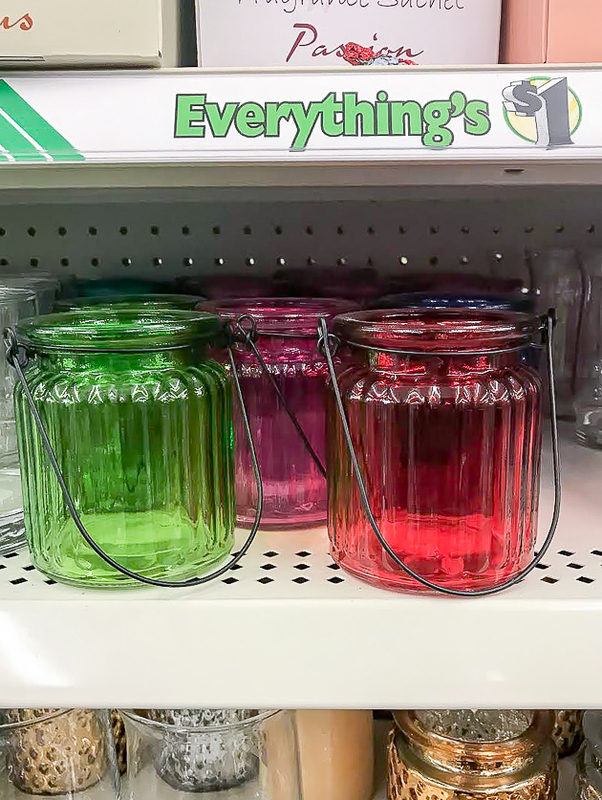 Our local Dollar Tree sells these little glass jars all year long and they come in a variety of colors. 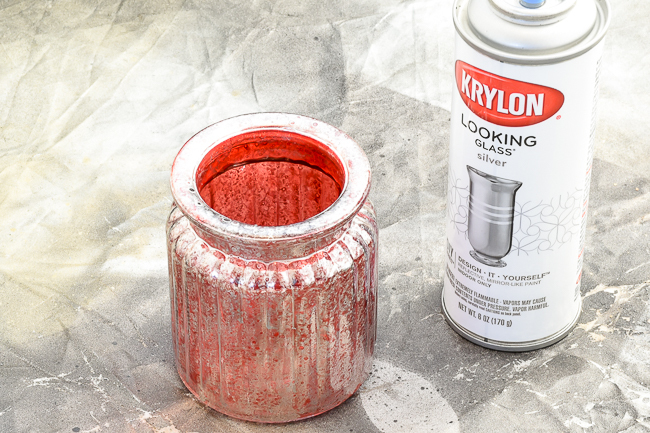 The red is perfect for Valentine's Day (or Christmas), but you could do this mercury glass effect on other colors to create gifts and decor for just about any season and holiday. 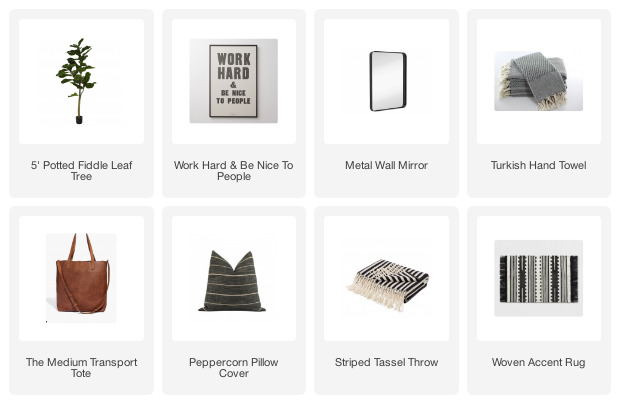 Creating the look of mercury glass is super easy and only requires a few simple ingredients. The Looking Glass isn't necessarily cheap, but since I had some leftover from a previous project I was able to complete this project for almost nothing. 2. 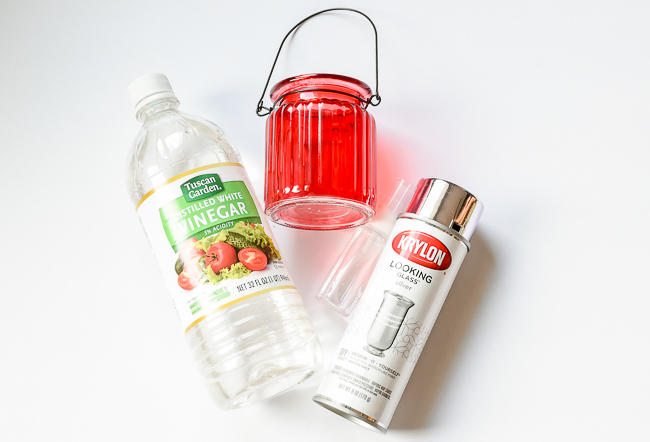 Fill a small spray bottle with equal parts vinegar and water. 3. 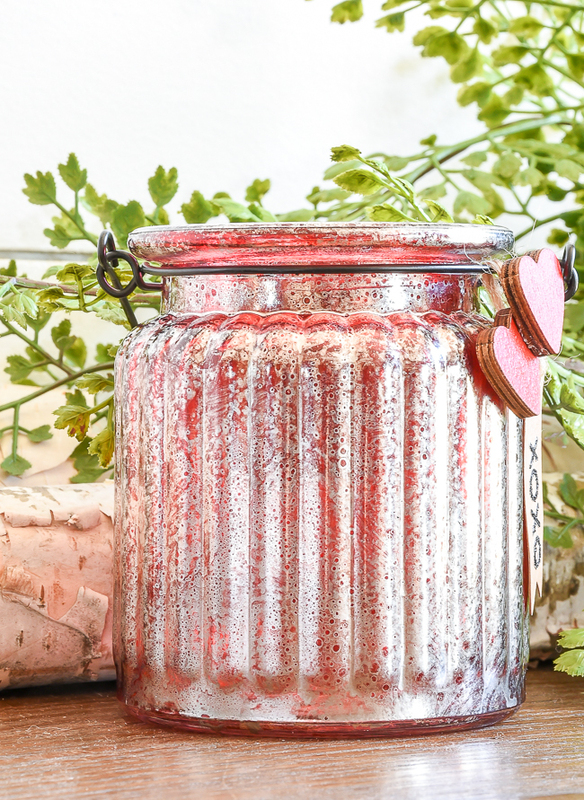 Spray your jar with a generous amount of the water/vinegar mixture. 4. Spray Looking Glass directly over the water/vinegar mixture. 5. Blot off access water droplets and let dry. 6. Repeat steps 3-5 until you are happy with the coverage. Once the Looking Glass was dry, I reattached the wire handle then raided my craft stash for some embellishments. I ended up using wood hearts that I had bought from Target's Dollar Spot around Christmas, craft tags (also from the Dollar Spot) and black glitter adhesive letters. 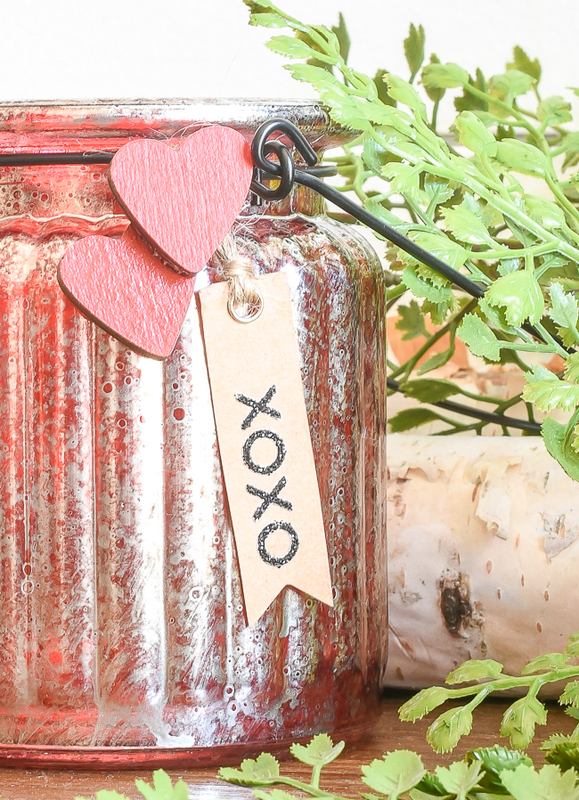 I added the adhesive letters to a craft tag, tied the tag to the jar with jute then used hot glue to attach the wood hearts. 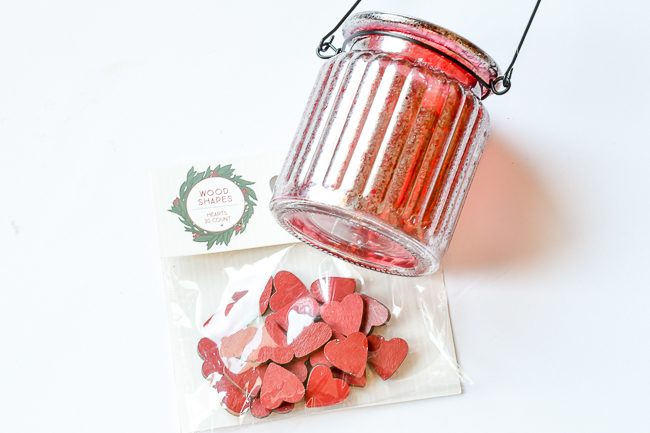 Pop in a candle or your favorite candy and you have a quick and easy Valentine gift to give to a teacher or friend. Do you celebrate or decorate for Valentine's Day? We aren't big celebrators here (unless you call ordering Chinese celebrating), but I do like to get something small for our kids. 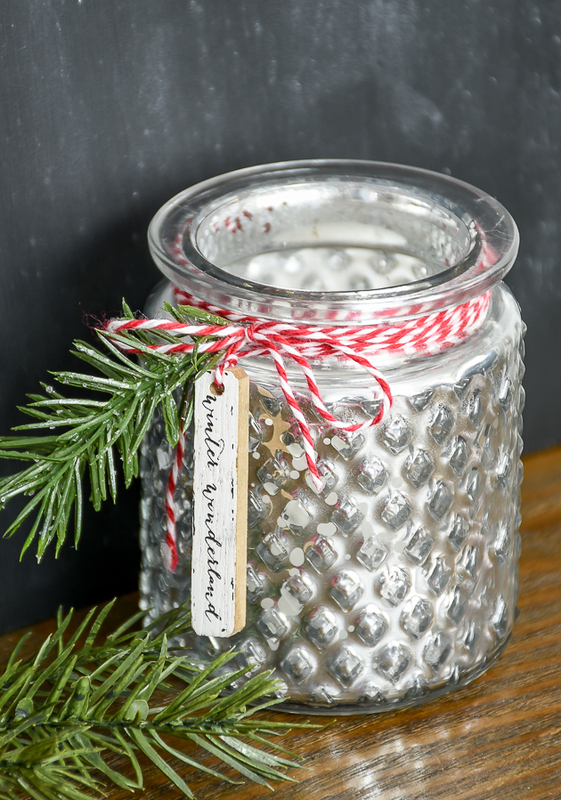 These little Dollar Tree jars would be perfect filled with their favorite candy along with a couple small toys or cute stuffed animal. Awe, thanks so much Tonya! These are adorable. I like to give little gifts for each special holiday, but always struggle with being clever for St. Patrick's Day. 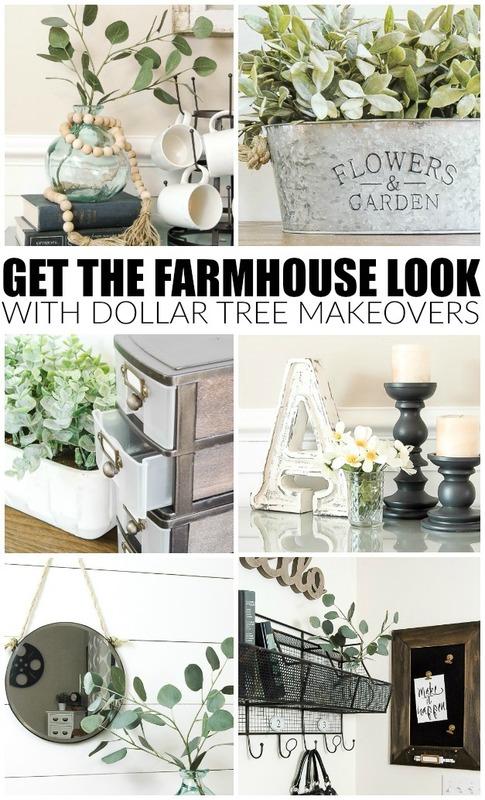 Problem solved for this year: I'm going to pick up green jars from the Dollar Store, do the mercury glass magic you've shared, embellish each with some shamrock tags, place a small houseplant from Orchard Supply Hardware in the jar, and voila, I have my SPD gifts. THANK YOU for the idea and inspiration. 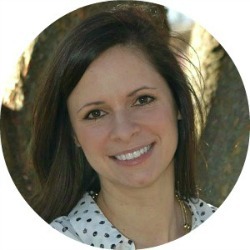 Your blog is the BEST!